Gulf Island is a diversified, publicly traded corporation that has grown to be a worldwide leader in project management, construction, and servicing of offshore and onshore facilities within the energy sector and beyond. In our construction facilities located in the United States along the Gulf Coast, our craftsmen have built many "First-of-a-Kind" products and some of the largest steel structures across the globe that continue to serve our customers today. In recent years, the Company has broadened the solutions we offer with greater capabilities to complement our long history for large-scale fabrication and on-site services. Our comprehensive services and capabilities utilize our state-of-the-art facilities and technical expertise for larger and more complex projects. 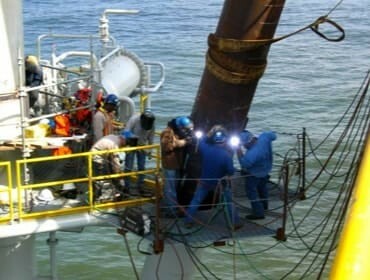 From fabrication to shipbuilding and onshore to offshore, Gulf Island can deliver. As our traditional core business, this division is engaged in the fabrication of offshore oil and gas platforms, onshore plant modules and other large steel fabricated structures. This division has the capacity to offer turnkey offshore project management to include subsea to hull (or fixed structure) to production and then on to production processing facilities. Within the last several years, this division has applied its extensive experience in modular construction to the fabrication of the first offshore wind farm in the United States and today is building modules for an onshore petrochemical plant. Launched in 2008, this division has seen tremendous growth in capacity and projects. 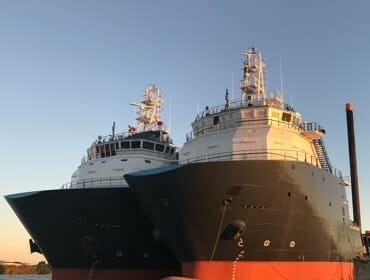 Our shipyard has delivered numerous vessels including the largest U.S. flagged lift boat, some of the most advanced-technology offshore support vessels, inland tugs and governmental/military ships. 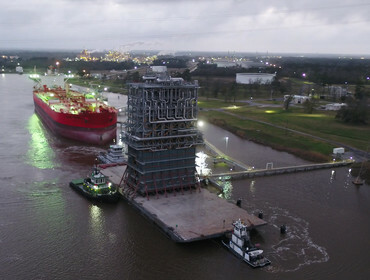 With an acquisition in 2016 of additional yards and capacity, this division offers newbuild construction and repairs with numerous drydock capabilities including one of the largest drydocks along the Gulf Coast. We also retain an in-house technical services group for estimating, design and engineering support. Since 1997, our Services Division has earned a superior reputation providing fabrication, on-site services, maintenance and support of the offshore and onshore energy sector. This division specializes in production and process-piping services, scaffolding, hook-up, preservation, along with a multitude of municipal and coastal infrastructure capabilities such as pump stations, drainage projects or bulkheading. Our newest division makes use of our over 30-year history of delivering hundreds of turnkey projects for our customers. The EPC Division provides integrated project management services related to construction and installation projects. EPC, or Engineering, Procurement and Construction, incorporates these critical activities for our customers. We have a long history of working with engineering experts, logistics groups and a myriad of specialty contractors that offer unique services to help meet our customers' requirements on time and on budget. Interested in learning more about who we are or our operations? Join our team of hard-working professionals to help produce the highest quality products possible.